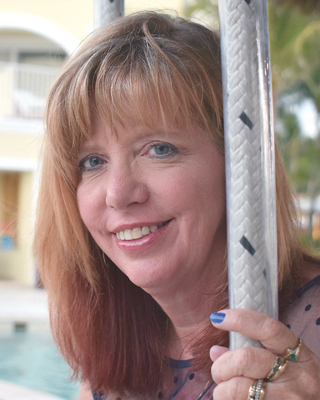 Alimonos’ mom, Maria Galanos, is from Crete and earned her degree in drafting and design in Greece. His father, Elias Alimonos, came to the U.S. from Sparta at 18 and worked as a chef until he passed away 20 years ago. Alimonos learned a lot about cooking from his father and mother. Born and raised in Hampton Roads, Alimonos earned his Bachelor of Science degree in business administration from Christopher Newport University in 1995. His wife, Melinda, is an account manager with Newport News Shipbuilding. They have a four-year-old son, Elias. Beginning in his senior year of college, Alimonos learned to run a business, climbing the cook-to-manager ladder at Newport News’ Outback Steakhouse for eight years. On his own since then, he owned “The Sandwich Place,” a deli in Coliseum Mall for five years, then partnered with a friend to open “Ice Sports Bar & Grill” in the Denbigh Shopping Center for five years. Subsequently, he bought and ran two Dairy Queens between 2006 and 2016. Both closed after changes in the DQ brand left them with little profit. “I was already looking for something to open and decided to go back to what I make money in—the deli and food business,” Alimonos says. 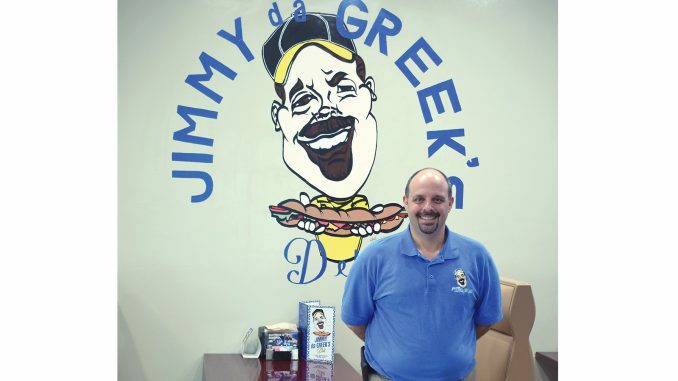 Jimmy Da Greek’s Deli opened in November 2017. Its menu is built from the deli business, Alimonos’ exceptional sports bar food and Greek cuisine. He brought in his Greek family heritage and maintains a family atmosphere, showing his big heart for kids. Alimonos is known for his corned beef that takes three days to craft. He makes souvlaki from pork tenderloin marinated for 24 hours before grilling. His mother makes their baklava. Jimmy’s pizza dough and sauce are made from scratch. Every sub is made to order. Their ranch, bleu cheese and Greek dressings are Alimonos’ recipes. He also makes his spanakopita from scratch and bakes it to order. On Fridays and Saturdays they offer a traditional Greek meal such as pastitsio, mousaka or a Greek stromboli that feeds two. “I try to bring what we’re about as Greeks: we like to make people happy with food,” Alimonos says. One of Jimmy’s popular specials is shrimp cakes. Alimonos admits the hardest part of what they do is making everything fresh and from scratch. “When you put in your order, I’m cooking your meal from that moment until it gets to you,” he says. Jimmy Da Greek’s Deli won Coastal Living magazine’s 2018 Best Greek Restaurant award. Currently, word of mouth drives his business. Jimmy’s does a lot of delivery, but 75 percent of its business is to-go orders. Alimonos has not only a big menu; he has a big heart. The deli donates gift cards to nonprofit organizations. Alimonos donated pizzas to a local baseball team to sell and raise money. He also contributes to golf tournaments.